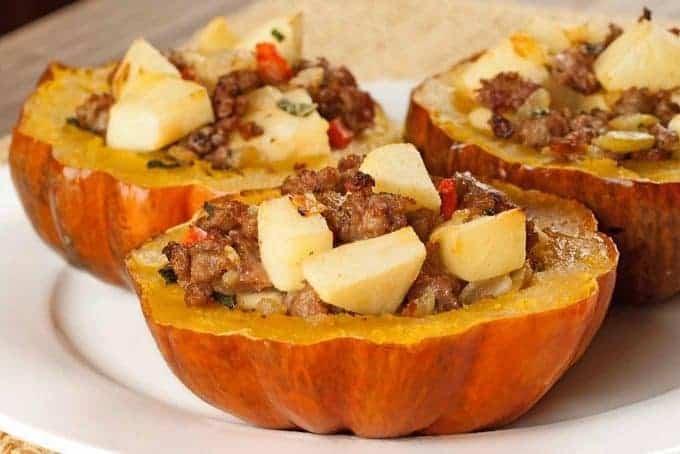 This easy, one-dish dinner combines the nutty taste and tender texture of acorn squash with a filling of crumbled sausage, fresh sage and bite-sized chunks of apple. 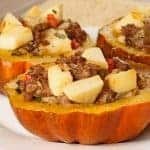 The flavors are a perfect blend and because the squash are pre-baked while you make the filling and go back to the oven just long enough for the apples to soften, the entire meal comes together in less than an hour. 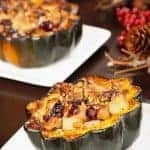 A one-dish dinner of baked acorn squash filled with crumbled breakfast sausage, onion, carrot, fresh sage and apple. 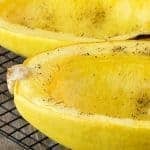 Trim a thin slice from both ends of each acorn squash, then cut them in half crosswise and scoop out the seeds. 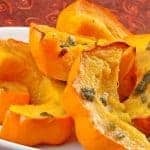 Place the squash, cut side down on the prepared baking sheet and bake until very tender when pierced with the tip of a knife, 30 to 35 minutes. Turn the squash halves cut side up and brush each with melted butter. 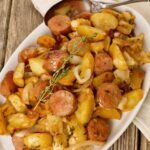 While the squash bakes, sauté the sausage over medium heat, breaking it up with a spatula as finely as possible as it cooks. 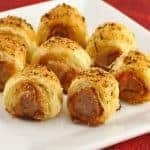 Once the sausage is cooked through, transfer it to a paper towel-lined platter. 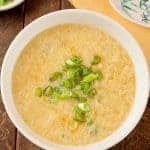 Discard most of the fat remaining in the pan, retaining about 1 tablespoon. Add the onion to the pan and sauté over medium heat for about 2 minutes. Add the carrots and continue cooking until tender, 3 to 4 minutes longer. Add the celery and sage and continue cooking until the celery is tender and the onion is lightly caramelized. Add the apple, cook for 2 to 3 minutes longer, then return the sausage to the pan and combine well. Taste and season with freshly ground black pepper and a pinch of salt if needed. Divide the sausage mixture between the squash halves and return them to the oven. Bake until the apples are tender when pierced with the tip of a sharp knife, 10 to 12 minutes. 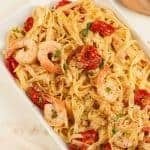 Plate and serve immediately.